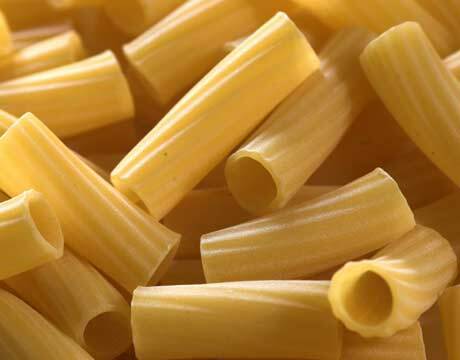 RIGATONI: Tube-shaped pasta of varying diameters and lengths. 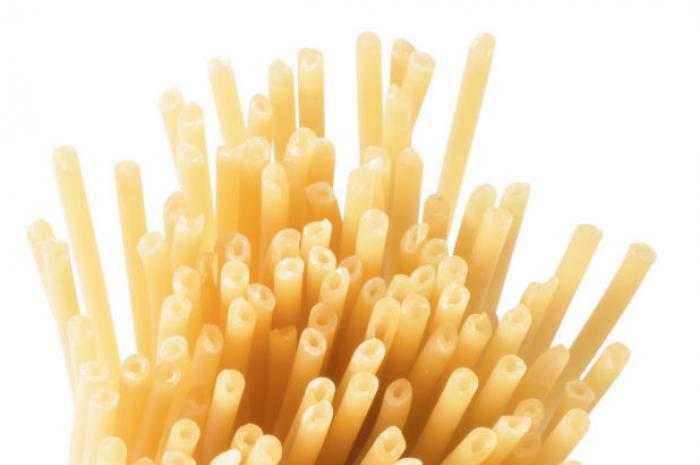 SPAGHETTI: Long, thin, cylindrical, solid pasta. It is a staple food of traditional Italian cuisine. 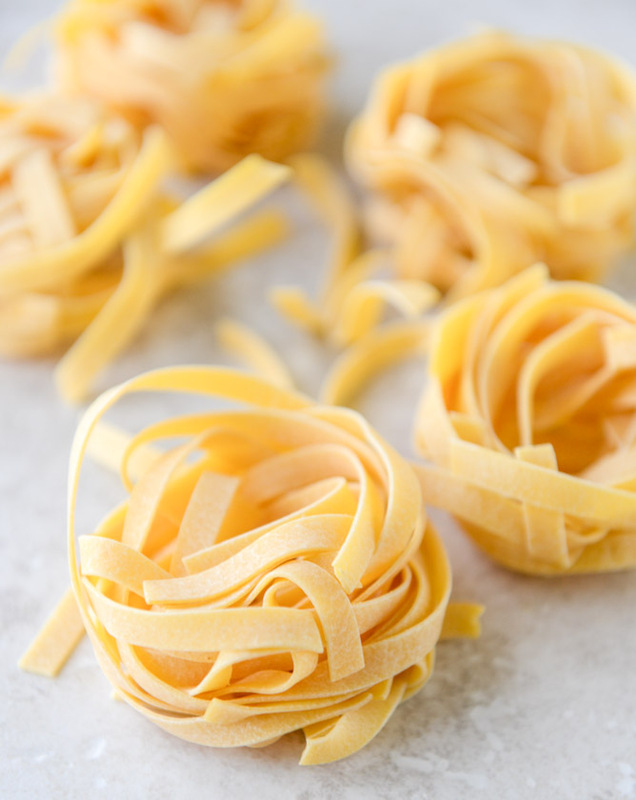 PAPPARDELLE: Large, very broad, flat noodles. 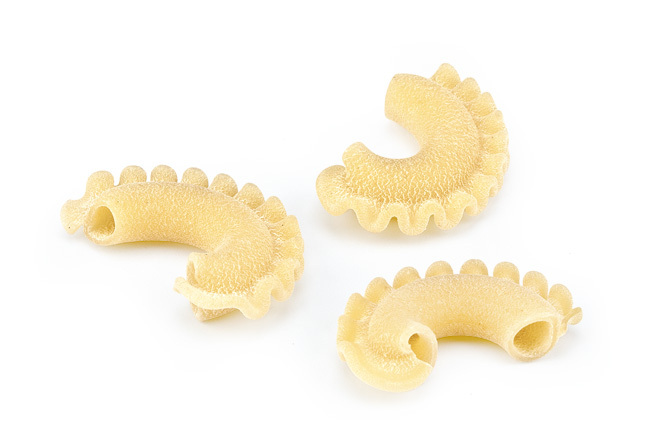 CANESTRI: A short, bent pocket of pasta which holds sauce well. Similar to macaroni, but wider. 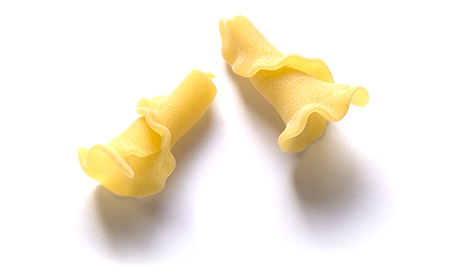 GEMELLI: Two short pasta strands that are twisted together into one strand. BUCATINI: A thick spaghetti-like pasta with a hole running through the center. 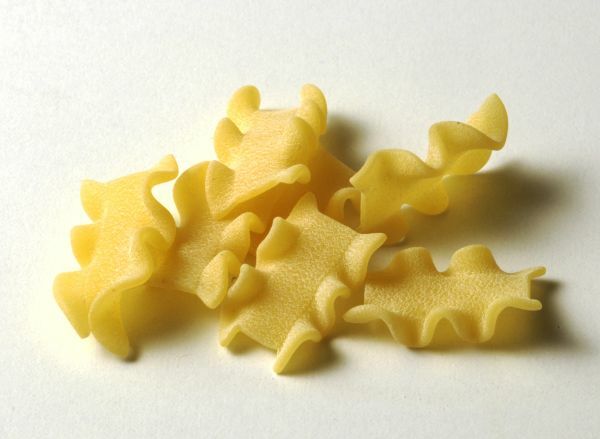 CAMPANELLE: A typer of pasta with a ruffled edge. Great for casseroles. MAFALDE: This pasta is characterized by it's long, fairly wide rectangular shape and curly edges. CRESTE DE GALLO: This medium-size pasta looks like the mohawk hairstlye and possesses ultimate sauce-retention due to it's tubular shape and ruffled edge. FETTUCCINI: A long, flat noodle similar in length to spaghetti.